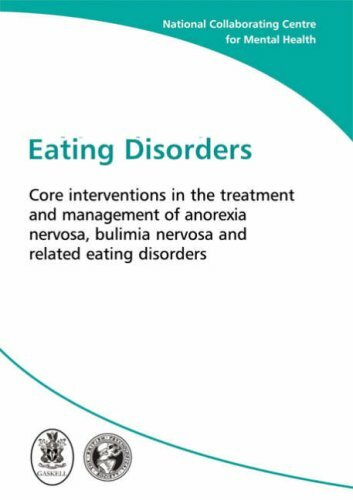 This guideline has been developed to advise on the identification, treatment and management of the eating disorders anorexia nervosa, bulimia nervosa and related conditions. The guideline recommendations have been developed by a multidisciplinary group of health care professionals, patients and their representatives, and guideline methodologists after careful consideration of the best available evidence. by Hugo Münsterberg - Moffat, Yard and Co. I want to counteract the misunderstandings which overflood the whole field, especially by the mixing of mental and moral influence. I want to strengthen the public feeling that the time has come when every physician should study psychology. This report recognizes the inextricably intertwined relationship between our mental health and our physical health and well-being. The report emphasizes that mental health and mental illnesses are important concerns at all ages. Bipolar disorder is a mental illness classified by psychiatry as a mood disorder. Individuals with bipolar disorder experience episodes of an elevated or agitated mood known as mania alternating with episodes of depression. Thoughts of suicide can be abundant and frequent for some. These thoughts easily disrupt the lives of not only the suicidal person but the world around said person. It may, however, be possible to tell someone is suicidal before it's too late.